An Unlikely Story is pleased to welcome the New York Times bestselling author of THE ART FORGER and THE MURALIST, who returns with another unforgettable tale about the lengths to which people will go for their obsession, whether it be art, money, love, or vengeance. B. 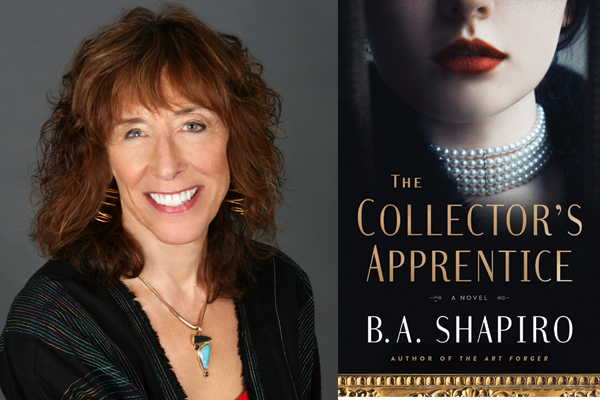 A. Shapiro has made the historical art thriller her own. In THE COLLECTOR'S APPRENTICE, she gives us an unforgettable tale about the lengths to which people will go for their obsession, whether it be art, money, love, or vengeance. It's sure to be an evening full of lively discussion, and beer and wine will be available during the event.